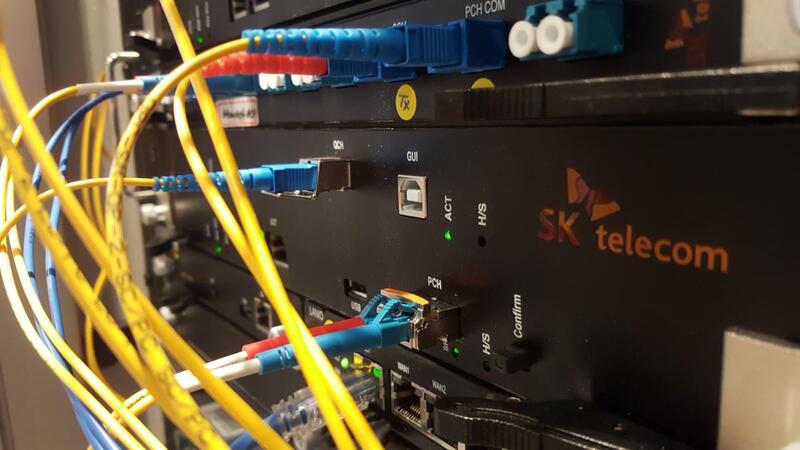 The system, shown Monday at Mobile World Congress in Barcelona, was put together to demonstrate interoperability between the two vendors and comes as SK Telecom kicks off a push to get telecom carriers and equipment vendors working together on next-generation quantum-secured networks. Quantum cryptography involves the transmission of encryption keys across fiber optic networks. It relies on the principles of quantum mechanics to detect if an eavesdropper has viewed a key en route. Current encryption systems often necessitate the distribution of keys by hand to ensure no tampering -- a costly and time-consuming process. In quantum cryptography, the distant party can receive a key via the network and be absolutely sure that it hasn't been intercepted or tampered with, meaning they can be sure it's secure. SK Telecom began developing its own quantum cryptography technology in 2011, said Cho Jeong-sik, a manager in the company's quantum technology lab in Seongnam, near Seoul. 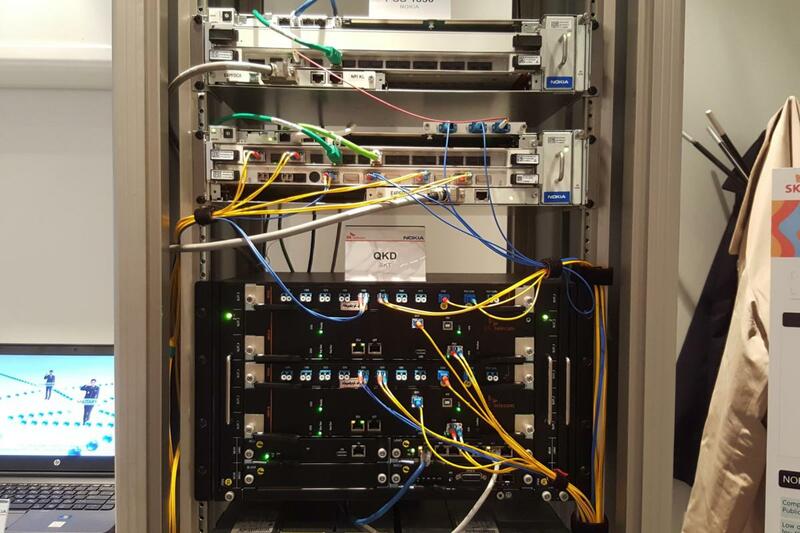 But recently it decided to focus on just the quantum key distribution part of the system and rely on other vendors for the standard network switches, routers, and encryption devices. Fiber optic cables connect to a Nokia encryption device in a demonstration at Mobile World Congress in Barcelona on February 27, 2017. The demonstration in Barcelona shows the technology working. 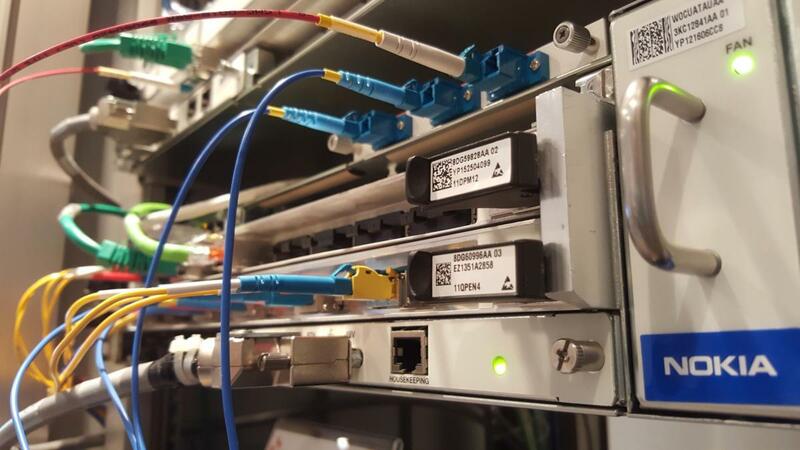 An SK Telecom quantum key server generated encryption keys and passed them to a Nokia 1830 fiber optic switch so that data could be encrypted. To promote interoperability, SK Telecom and Deutsche Telekom on Monday launched a group called the "Quantum Alliance." The organization is seeking other network operators and hardware makers as members and wants to define standards for quantum encryption systems and networks. A Nokia encryption device and SK Telecom Quantum Key Distribution system are demonstrated at Mobile World Congress in Barcelona on February 27, 2017. There is a lot of work to be done before quantum encryption becomes more widely deployed. One of the biggest hurdles to use now is a geographical one. While data encrypted with quantum keys can be sent around the world on existing networks, the actual distribution of keys needs to take place on a single, uninterrupted fiber optic cable. That's because using switches or amplifiers would affect the data and make it look like it had been intercepted. This limits quantum key distribution to distances of about 80 kilometers -- fine within a city or metropolitan region but useless on a national or international basis. SK Telecom said it's developing a device called a "trusted node" that will be able to extend the distance. It should be available around the end of 2017.